The hot topic for 2018 is certainly compliance. Compliance is more than adherence to laws and regulations, it is about the integrity of the organization to it’s ethics, values, social responsibility, policies, commitments, contracts, and controls. I have been stating for over a decade that the best executive title for a compliance executive is a Chief Integrity Officer, but we already have a CIO in the executive suite. A particular focus right now is on sexual harassment. I am having a lot of conversations on this front with organizations looking to communicate policies and deliver training. While this is critical to compliance, it needs to be lived and breathed by all levels of management as well. Individual ethics and values also have to align with corporate ethics and values. It was just over a decade a go that I left a former employer. Why? A difference in values on a topic that is so critical today. The organization paraded at a company meeting how they were having a senior executive of an ‘adult entertainment’ company keynote at one of our conferences. Though I am a man, I thought this was a slap in the face to the women that worked in the company and were our clients. I protested and it was the foundational reason I left. Things need to change, and compliance is critical in changing it. Organizations operate in a field of ethical, regulatory, and legal landmines. The daily headlines reveal companies that fail to comply with regulatory obligations. Corporate ethics is measured by what a corporation does and does not do when it thinks it can get away with something. 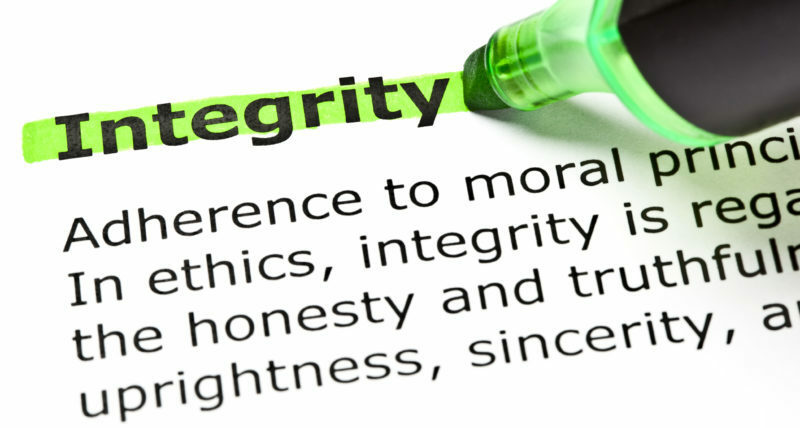 Compliance management boils down to defining – and maintaining – corporate integrity. Compliance is not easy. The larger the organization the more complex its operations and corresponding compliance obligations are. Adding to the complexity of global business, today’s organization is dynamic and constantly changing. The modern organization changes by the minute. New employees start, others change roles, some leave the organization. New business partner relationships are established, others terminated. The business enters new markets, opens new facilities, contracts with agents, or introduces new products. New laws are introduced, regulations change, the risk environment shifts (e.g., economic, geo-political, operational), impacting how business is conducted. The dynamic and global nature of business is particularly challenging to a corporate compliance and ethics program. As organizations expand operations and business relationships (e.g., vendors, supply chain, consultants, and staffing) their compliance risk profile grows exponentially. To stay competitive, organizations need systems to monitor internal compliance risk and external compliance risk. What may seem insignificant in one area can have profound impact on others. In an ever-changing business environment, how does your organization validate that it is current with legal, regulatory, policies, and ethical obligations? Compliance obligations and ethical risk is like the hydra in mythology—organizations combat risk, only to find more risk springing up. Executives react to changing compliance requirements and fluctuating legal and ethical exposure, yet fail to actively manage and understand the interrelationship of compliance data. To maintain compliance and mitigate risk exposure, an organization must stay on top of changing requirements as well as a changing business environment, and ensure changes are in sync. Demands from governments, the public, business partners, and clients require your organization to implement defined compliance practices that are monitored and adapted to the demands of a changing business and regulatory environment. Redundant and inefficient processes. Managing compliance in silos hinders big-picture thinking. Little thought goes into how resources can be leveraged for greater effectiveness, efficiency, and agility. The organization ends up with a variety of processes, applications, and documents to meet individual compliance mandates. The result: a major drain of time and resources. Poor visibility across the enterprise. Siloed initiatives result in a reactive approach to compliance. Islands of information are individually assessed and monitored. Departments are burdened by multiple compliance assessments asking the same questions in different formats. Limited visibility across the compliance risk exposure ensues. Overwhelming complexity. The lack of integrated processes introduces complexity, uncertainty, and confusion. Inconsistent processes increase inherent risk, more points of failure, and more compliance gaps leading to unacceptable risk. Mass confusion reigns for the organization, regulators, stakeholders, and business partners. Lack of agility. Reactive compliance strategies managed in information silos handicaps the business. Bewildered by a maze of approaches, processes and disconnected data, the organization is incapable of being agile in a dynamic and distributed business environment. Greater exposure and vulnerability. When compliance is not viewed holistically, the focus is only on what is immediately in front of each department, at the expense of enterprise-wide inter-dependencies. This fragmented view creates gaps that cripple compliance management and creates a business ill-equipped for aligning compliance initiatives to business objectives. Compliance Management: Does Your Organization Walk its Talk? Latest Research . . .